Recently a friend from my university-days visited from Athens and naturally our conversation drifted to our stages in life. With Greece still struggling to right its economy, it’s understandable that she lamented about her work conditions. A laundry list of usual work place unpleasantness; bad bosses, low wages, long hours. Inevitably my thoughts wander to the tea workers’ plight in India that was published in BBC and other media a few months ago. The gist being poor living standards with barely subsistence wages lead to high levels of malnutrition among the workers. This makes them vulnerable to fatal illnesses. Imagine my delightful surprise when I stumbled upon an article on a rarely heard project called the Kenyan tea plucker research that proves there are enlightened employers in the world. Just maybe we can entertain the thought that not all corporations are heartless with the goal of profit at all cost. The project was run by professor Jonathon Simon from Boston University’s School of Public Health (SPH). The research aim to prove that HIV-infected workers, given the same antiretroviral drugs available in developed countries, will return to near full productivity, benefitting their employers and their families. I tried to write Simon to know more about this project but he has since retired in 2015. Nevertheless I will share what I know here. The research started as an effort to measure the devastating effect of AIDS on African workers in 2001. 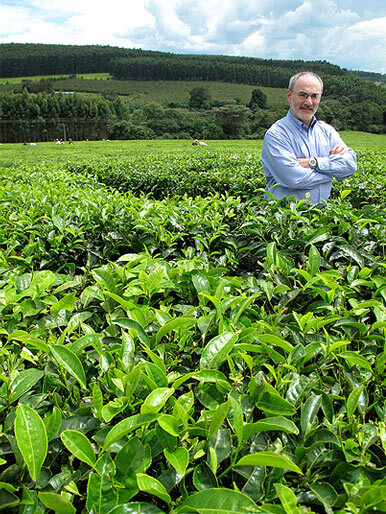 Tea estates in Kericho, Kenya, were chosen for field research because tea plantation owners, since the British colonial days, have kept meticulous record of individual plucker’s harvest as they are paid by weight. Each plucker functioned like a freelancer; with daily harvest by weight, absenteeism registered. This payroll record over-layed with the same meticulous health record that dates back decades from plantation clinics provide a window into the productivity of workers with the onset of AIDS. The trend lines was not surprising to the researchers and companies who allowed access to the data, proofing AIDS devastates people long before it finishes them off. Simon said the companies took a huge step being the first private sector provider of antiretrovirals in all of Africa, they should feel good about their initiative. Then in 2004, PEPFAR happened (President’s Emergency Plan for AIDS Relief). President George W. Bush, persuaded by humanitarian arguments, pumped billions of dollars into fighting AIDS in Africa, indirectly made available antiretroviral drugs to afflicted workers. And the research team ended the report on a hopeful note that many will listen.